Enter the House of Annie Lennox at the V&A from Thursday – a display of costumes and accessories worn by the singer over the past four decades. The Whitechapel Gallery’s examination of the Government’s Art Collection continues on Friday, with a selection curated by Cornelia Parker called Richard Of York Gave Battle In Vain. From Saturday you can see Degas and the Ballet: Picturing Movement at the Royal Academy, or John Pawson: Perspectives at St Paul’s Cathedral. Head to the Guildhall Art Gallery from Monday to see Atkinson Grimshaw: Painter of Moonlight: more than 60 paintings of moonlit city streets and docksides by the Victorian artists. Tonight in theatre, A Clockwork Orange comes to the Theatre Royal Stratford East. The Absence of Women opens at the Tricycle Theatre tomorrow, as does Di and Viv and Rose at the Hampstead Theatre. My City by Stephen Poliakoff opens at the Almeida from Thursday. 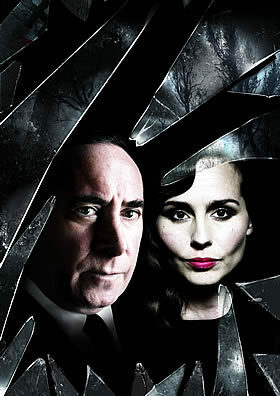 And Friday is the opening night of Broken Glass starring Antony Sher and Tara Fitzgerald at the Vaudeville Theatre. You can bid a fond farewell to the Bush Theatre's old home in This Is Where We Got To When You Came In from Saturday. Two big hitters open in opera this week: Jonathan Miller’s 1950s-set The Elixir of Love opens at the London Coliseum on Thursday, and Faust at the Royal Opera House, opens on Sunday. If you’re looking for something different, the Bloomsbury Theatre presents Opera Siam’s spooky Thai opera Mae Naak from tomorrow. Dance fans can see Havana Rakatan at the Peacock Theatre from tomorrow. And on Monday, you can see French Vietnamese choreographer Ea Sola's 1995 work, Drought And Rain at Sadler’s Wells. Saturday is your last chance to see Yes, Prime Minister at the Apollo, before it transfers back to the Gielgud. External closes at the Soho Theatre on Saturday, as does Bernarda Alba at the Union Theatre. Road Show closes at the Menier Chocolate Factory on Sunday.